Grate the apple and combine with all other ingredients except for the banana, in a jar or bowl, leave to soak overnight in the fridge. 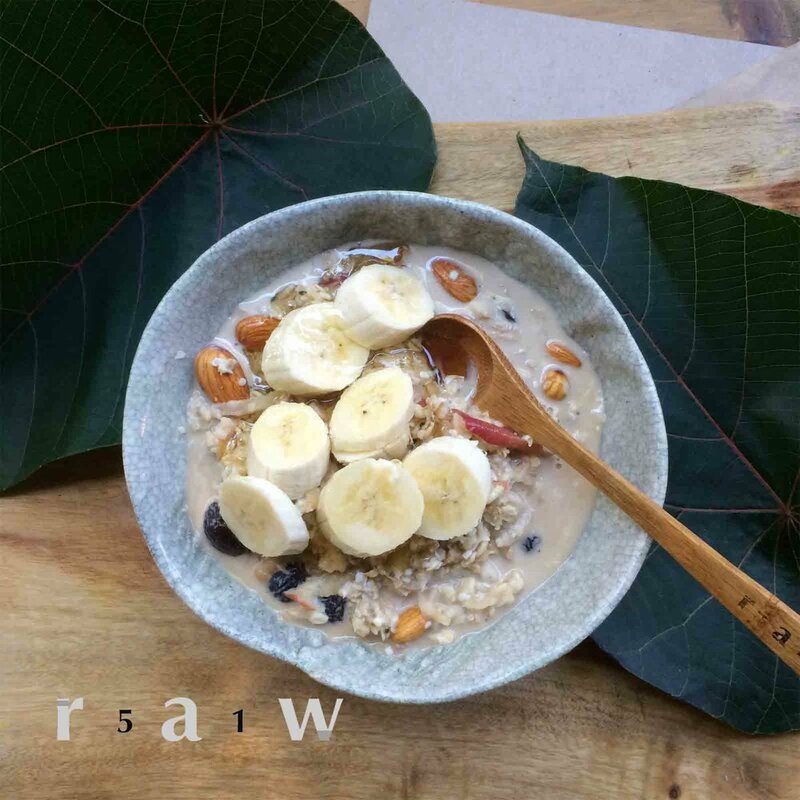 In the morning empty into your breakfast bowl and top with freshly sliced banana, enjoy! *This makes for a great take-away breakfast, simply soak the ingredients in a jar, so it is ready to grab and go in the morning.